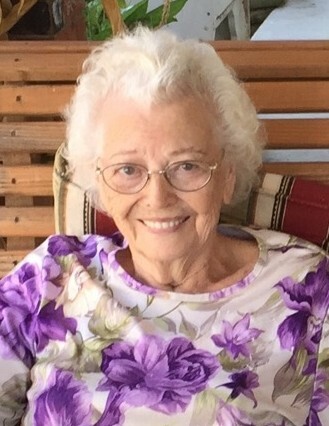 Rose Ellen Newsome, age 97 of Mt.Orab, Ohio died Wednesday, October 17, 2018 at the Meadowview Regional Medical Center in Maysville, Ohio. She was a homemaker. Rose was born June 7, 1921 in Lewis County, Kentucky the daughter of the late Charles Oscar and Nancy Ellen (Rigdon) Robinson. Besides her parents, she was preceded in death by her husband, Frank Newsome, one granddaughter – Shawney Spence, one great granddaughter – Miranda Cracraft, one brother – Howard Robinson and one sister – Hester Cropper. Mrs. Newsome is survived by four children – Randy Newsome, Wendell Newsome and Nancy Cooper and husband Roy all of Mt.Orab, Ohio and Richard Newsome and wife Amy of Loveland, Ohio; nine grandchildren, nine great grandchildren; two great-great grandchildren; two brothers – Russell “Robby” and James Robinson both of Maysville, Kentucky; two sisters – Alice Crum and husband Ralph of South Webster, Ohio and Minnie Cole of Portsmouth, Ohio and many nieces and nephews. Funeral services will be held at 3:00 P.M. Saturday, October 20, 2018 at the Cahall Funeral Home in Mt.Orab, Ohio. Vernon Green will officiate. Visitation will be from 1:00 P.M. – 3:00 P.M. Saturday at the funeral home. Interment will be at 11:00 A.M. Monday, October 22, 2018 in the Hillcrest Memorial Garden near Maysville, Kentucky. If desired, memorial contributions may be made to the Mt. Orab Church of Christ, 400 Smith Ave., Mt.Orab, Ohio 45154.